Meatballphobia is a 2D physics puzzle game about flesh and meat, about the enslavement of both the consumed and the consumer, about life and the systems built around it. 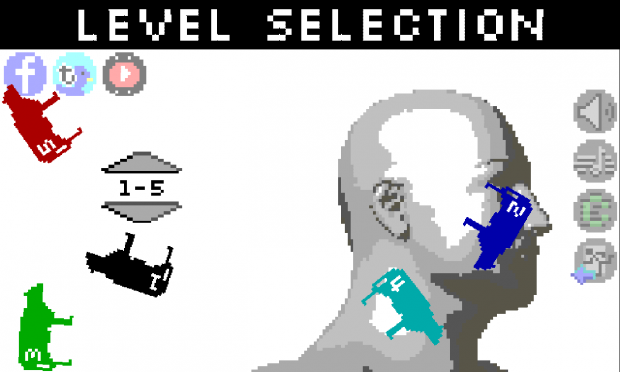 It is also a game about making a meatball hit an unfortunate hysterical head. Featuring 50 brain-teasing levels of increasing difficulty, Meatballphobia focuses on relaxed problem solving instead of competition — so there are no locked levels, no highscores, no timer. Can’t figure out how to solve a level? No problem! Just go ahead, pick another stage, and go back when you want to give it another try. 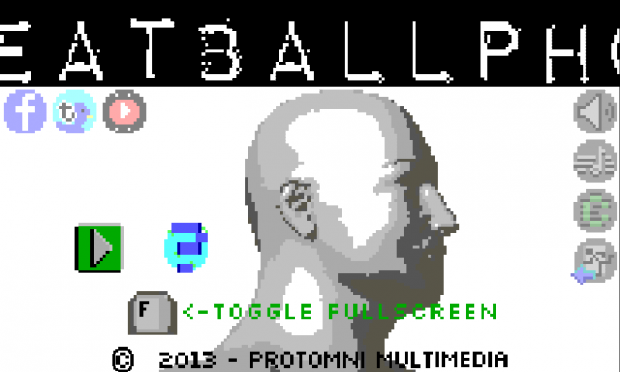 Moreover, even though Meatballphobia plays like a modern game, its graphics and music are reminiscent of the 8-bit era: the CGA palette, the pixelated sprites, the engaging chiptune soundtrack — it’s all carefully crafted to take you back in time. Post news Report RSS	Meatballphobia now available on Google Play & Amazon! The Android version of our latest game, the 2D physics puzzler Meatballphobia, is now available on Google Play and Amazon for only US$1.50! The availability of Meatballphobia on Google Play and Amazon marks the first stage of the release of our new game, which will soon be available for Windows, Linux, and Windows Phone as well. We've put a lot of effort into creating a modern puzzle experience with a retro feel that plays naturally and smoothly on both desktops and mobile platforms, and we are glad to say we truly believe we have succeeded at doing so, as do our testers - but you will be the judge of that. Compared to our beloved platformer Bernie Needs Love - currently in development for Windows and Linux and available with a 50% discount while in beta right here on Desura - Meatballphobia is a much more relaxed experience, with no timer, no highscores, no competitive elements whatsoever: just 50 mind-bending levels of increasing difficulty, all unlocked and available since the first run. 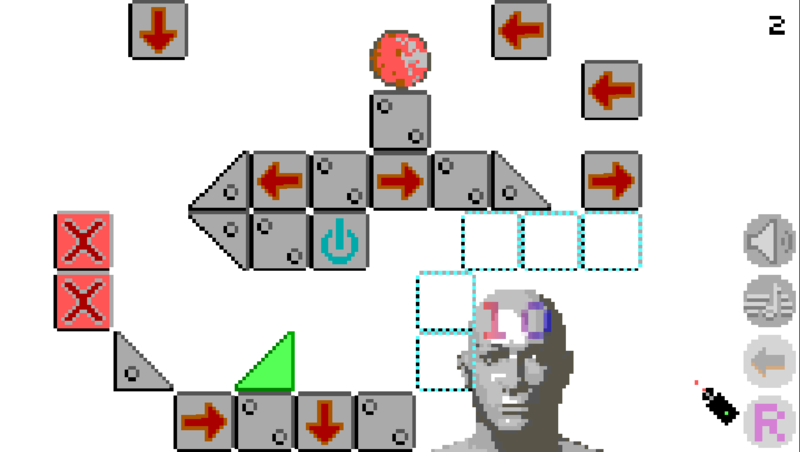 The goal is quite simple: you must manipulate the levels in order to drive a meatball onto an unfortunate hysterical head. This premise might sound over-simplistic and somewhat absurd at first, but we assure you there are many deeper layers of meaning in this. As the description of the game fittingly says, "Meatballphobia is a 2D physics puzzle game about flesh and meat, about the enslavement of both the consumed and the consumer, about life and the systems built around it". To better illustrate what the theme Meatballphobia is all about, please allow me to quote one of my replies to a question made on the Reddit thread we sent to /r/AndroidGaming last Sunday: "...the idea came from my own discomfort with not only the way meat is produced and the fact it is a fundamental part of my diet, but with the very natural rule that forces one creature to devour another in order to survive. Since the other members of my team share those issues, it was easy convincing them we should invest our efforts in the development of Meatballphobia. I'm not a vegetarian for many reasons, nor does the game have a vegetarian subtext, but I really wanted to create an engaging and entertaining puzzle game that makes the player think about life, about animal and human enslavement, and about the brutality of our current food production and distribution methods." Finally, regarding Bernie Needs Love, we'd like to add that development is going strong and the next update will introduce many bug-fixes and nice features such as widescreen support. We are also working hard on adding much more variety in levels 2-1 to 2-10 (which will take place in carnival-related areas). Moreover, we expect to add a new 64-bit Linux build with that update, since a couple of users brought to our attention they had to install additional packages to run the game in that environment. If you have any questions, comments, or feedback, feel free to let us know. Thank you for reading this and have fun! We truly appreciate your support!